Spend anytime around Brownsburg, and you’ll notice pretty quickly that one of the signs spring is in the ‘air’ is the high-pitched horsepower roar of race cars and dragsters ripping through the atmosphere surrounding Lucas Oil Raceway. 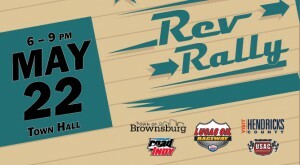 And from 6-9 p.m., May 22, this growing mecca for motorsports is going to be firing on all cylinders, you might say, as it hosts the second annual Rev Rally – a free, family-friendly event at Brownsburg Town Hall, 61 N. Green St. There will be drivers from USAC, USF2000 and Pro Mazda racing series signing autographs while promoting the 69th Annual Visit Hendricks County Night Before the 500 event scheduled two nights later on May 24. 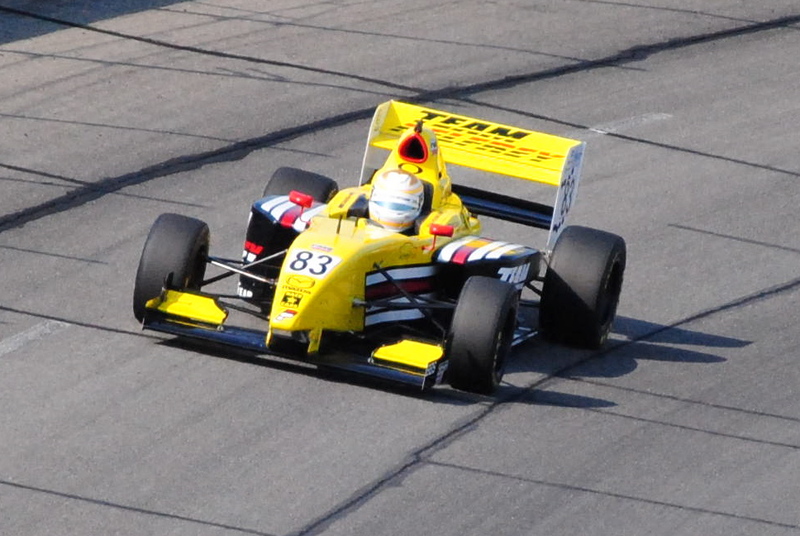 Among those scheduled to appear at Rev Rally will be Pro Mazda drivers Spencer Pigot and Shelby Blackstock. If you’ve been following the standings, Pigot’s name is one you’ll recognize atop the leaderboard in that series. Blackstock is another talented racer who drives for Andretti Motorsport, and it just so happens that he’s the son of a well-known country music artist by the name of Reba McIntyre. 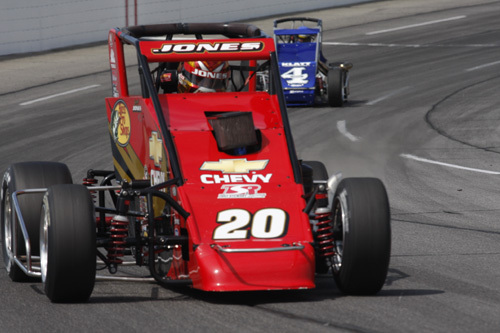 Of course, there will be lots of race cars on display that you can actually see two nights later in action on the Lucas Oil Raceway oval for the Night Before the 500. Speaking of the race…SPOILER ALERT…it wouldn’t be the month of May without a free ticket giveaway. The good folks at Visit Hendricks County are giving away four tickets to the Night Before the 500 with a face value of $25 a ticket. All you have to do is enter a comment in this story about what you like most about going to Lucas Oil Raceway or, if you’ve never been there, tell us why you want to go. Enter your comment by noon May 16, and we’ll let you know who’s going to the race for free. Remember, too, that kids 12 years old and younger are free so if you’ve got a big group, four free tickets will help in getting everyone to the starting line for a race that Barney Stinson would say is (wait for it)...legendary. Getting back to the Rev Rally…think of it as the circus coming to town; there will be lots of games for kids of all ages, including the always-popular bounce house, face painting, a crazy-fun photo booth, as well as some great entertainment and delicious food (because after all, you’ll need to re-fuel with all of the activities that will be going on). One of the musical acts that will be appearing is a popular local band known as the Cornfield Mafia. For more information about Rev Rally, click here. Tickets are on sale now for the Night Before the 500. Adult general admission tickets are $25. Kids 12 and younger are free. However, you can get $5 off your tickets through a Visit Hendricks County promotion by clicking here. As someone who’s lived (literally) for more than a decade in the backyard to a racing operation owned by one of the racing world’s biggest names – it’s relaxing to step out on my porch and hear those cars come to life. Rev Rally is just going to add to the fun.